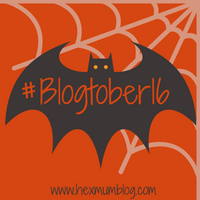 Welcome to day 19 of Blogtober 2016. Today’s topic is my 10 favourite foods. Now what I would LOVE to do for this post is a round of my 10 of my favourite recipes that I have shared here. Unfortunately, I haven’t gotten around to actually sharing any yet! So what you see here is a round up of 5 of my favourite recipes that I intend to share in the near future. Please do check back over coming months to find some recipes that have become family favourites in my household. And then my 5 favourite general foods as well. Slow cooker Cashew Chicken – this chinese chicken recipe is honestly as good as ordering in. I’m a sucker for slow cooker recipes because I love being able to prep a meal the night before or during nap time and barely needing to think about it again until dinner time. Especially in autumn! There are few things more comforting than the smell of a meal simmering away for hours on end. Butternut squash risotto – again another firm autumn favourite, although I do bring it out all year round, especially when I have vegetarian guests coming round for dinner. This risotto is the perfect balance of creamy, salty and sweetness and is perfect warming comfort food for the colder months. Turkish Pitta Pizzas – this is a turkish twist on everyone’s favourite, the pizza. Although this recipe substitutes pizza dough with a pitta bread and cheese with tangy Tzatziki. This one is Fabio’s favourite dinner, he requests it at least every other week! Fudge – any kind of fudge is my ideal sweet treat, I have loads of different favourite recipes for this but my favourite kind of fudge is classic vanilla but super soft and squidgy. Chicken and Chorizo Jambalaya – rice is a bit part of our daily meals in our family (we aren’t big on potatoes) and this slightly spicy rice dish is amazing! If you are interested in more meals I like take a lot at my Tasty Pinterest board, it is jam packed with lots of different meals and bakes! Your list of favorite foods totally rocks my appetite, yummy! Sweets..